The Rebel Og Coaching Web Site (the “Site”) is a website provided by rebelogcoaching.com, subject to your compliance with the terms and conditions set forth below. By accessing the site or using the site, you agree to be bound by the terms and conditions set forth below. If you do not wish to be bound by the terms and conditions, you may not access or use the site. Adverts may modify this agreement at any time, and such modifications shall be effective immediately upon posting of the modified agreement on the site. You agree to review the agreement periodically to be aware of such modifications and your continued access or use of the site shall be deemed your conclusive acceptance of the modified agreement. The Website is operated by Rebel Og Coaching & Games (“we”, “us” or “our”) as part of Cork GAA under Rebel Og. 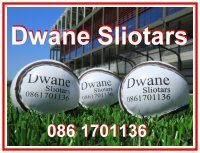 Our offices are based in Pairc Ui Rinn, 3 Boreenmanna Rd, Ballintemple, Cork. rebelogcoaching.com is not directed at children younger than 13 and is offered only to users 13 years of age or older. 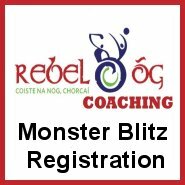 If you are under 13 years old, you may not register with or use rebelogcoaching.com. Any person who registers with rebelogcoaching.com represents to us that they are 13 years of age or older. We recommend that young people aged 13 years of age or older ask their parents or legal guardians for permission before using rebelogcoaching.com or sending any information about themselves to anyone over the Internet.You understand that, except for information, products or services clearly identified as being supplied by rebelogcoaching.com, rebelogcoaching.com does not operate, control or endorse any information, products or services on the Internet in any way. You also understand that rebelogcoaching.com cannot and does not guarantee or warrant that files available for downloading through the Site will be free of infection or viruses, worms, Trojan horses or other code that manifest contaminating or destructive properties. You are responsible for implementing sufficient procedures and checkpoints to satisfy your particular requirements for accuracy of data input and output, and for maintaining a means external to the Site for the reconstruction of any lost data. You assume total responsibility and risk for your use of the site and the Internet. rebelogcoaching.com provides the site and related information “as is” and does not make any express or implied warranties, representations or endorsements whatsoever (including without limitation warranties of title or non infringement, or the implied warranties or merchantability or fitness for a particular purpose) with regard to the service, any merchandise information or service provided through the service or on the internet generally, and rebelogcoaching.com shall not be liable for any cost or damage arising either directly or indirectly from any such transaction. It is solely your responsibility to evaluate the accuracy, completeness and usefulness of all opinions, advice, services, merchandise and other information provided through the service or on the internet generally. rebelogcoaching.com does not warrant that the service will be uninterrupted or error-free or that defects in the service will be corrected. You understand further that the pure nature of the Internet contains unedited materials, some of which are sexually explicit or may be offensive to you. Your access to such materials is at your risk. rebelogcoaching.com has no control over and accepts no responsibility whatsoever for such materials. By providing rebelogcoaching.com your email address, you consent to our using that email address to send you Service-related notices, including any notices required by law, in lieu of communication by postal mail. This will include notifications about leaving feedback on completion of a deal as feedback left between people is an integral part of the site (This specific notification is not avaialble for opting out). We may also use your email address to send you other messages, such as changes to features of rebelogcoaching.com and special offers. If you do not want to receive such email messages, you may opt out or change your preferences in your account settings. Opting out may prevent you from receiving email messages regarding updates, improvements, or offers. Because community standards vary and individuals sometimes choose not to comply with our policies and guidelines, in the process of using rebelogcoaching.com, you may be exposed to content that you find offensive or objectionable. You can report such content to us. rebelogcoaching.com accepts no responsibility for transactions that take place on the site. While we reserve the right to monitor or to intervene in disputes between you and other users, we have no obligation to do so. All advertisements from shops and services accounts must adhere to the “Code of Advertising Standards” as defined by The Advertising Standards Authority for Ireland in addition to the standards set out in this Agreement. You own all of the Material you post on rebelogcoaching.com and we do not claim ownership of that Material. However, we need your permission to be able to display that Material and in some cases to modify it for best display for different browsers, for our mobile site, and so on. Consequently, by posting any Material on or through rebelogcoaching.com, you grant us a limited licence to use, modify, publicly perform, publicly display, reproduce, and distribute such Material. The licence you grant to us is non-exclusive, royalty-free and fully paid, sub-licensable, and worldwide. This licence applies only to use of the Material for the purpose of providing the rebelogcoaching.com service. You agree to pay for all royalties, fees, and any other monies owing any person by reason of any Material posted by you to or through rebelogcoaching.com. In order to ensure that threads and conversations are not disrupted, we do not generally remove Material which is uploaded to us. Consequently, you agree that your Material displayed on rebelogcoaching.com may continue to appear on rebelogcoaching.com, even after you have terminated your user privileges or have had your user privileges terminated by rebelogcoaching.com. Please note that the content published is provided by external users, and do not represent any views or opinions of rebelogcoaching.com, nor should they purport to do so. Accordingly, we require that every care is taken by you or on your behalf in drafting the content in order to ensure that they are not in any way defamatory, illegal or in any other way harmful to a third party as you are solely responsible as author and publisher of your content. rebelogcoaching.com (“we”, “us” or “our”) reserves the absolute right at our sole discretion, without being obliged to give any reason, to reject, amend or remove any Content posted or submitted by you any time without notice to you. We reserve the right to monitor and to review all Content submitted to us, accessed on or published on rebelogcoaching.com at any time. From time to time users contact us with feedback, suggestions and submissions about rebelogcoaching.com and how to improve the site and services we offer. We welcome your input, and the following terms ensure that we can use your contributions to improve rebelogcoaching.com. You do not have to submit anything to us about rebelogcoaching.com, but if you do you acknowledge and agree that any questions, comments, suggestions, ideas, feedback, or any other submissions to us which may improve our products, services, or offerings shall become our property unless otherwise agreed by us. By making a submission to us about rebelogcoaching.com, you grant a nonexclusive, irrevocable, worldwide, perpetual, unlimited, assignable, sub licensable, fully paid up and royalty-free right to us to copy, prepare derivative works from, improve, distribute, publish, remove, retain, add, and use and commercialise, in any way now known or in the future discovered, anything that you submit to us, without any further consent, notice and/or compensation to you or to any third parties. If you do not want to grant us the rights set out above, please do not make submissions to us about rebelogcoaching.com. Unless otherwise stated, all fees are quoted in Euros. You agree that we may issue you with invoices in electronic format by email. Some features on our website are subject to payment of a fee to rebelogcoaching.com. The Fee is set out on the website and displayed to you in the course of you offering to place/bump an ad with us. The Fee for all rebelogcoaching.com is quoted and is payable in Euro. All prices are stated inclusive of value added tax (VAT) at the relevant rate. If for any reason you request a refund for fees paid rebelogcoaching.com will issue refunds. Fees may be paid using your Visa debit /credit card or using Stripe/Paypal (you will be subject to Stripe’s or Paypal’s User Agreement). If you pay through your mobile phone network, all site fees are inclusive of VAT and any other charges. This website contains links to other websites operated by third parties over whom we have no control. Such links are provided for your convenience only and we accept no responsibility or liability in respect of the content or use of other websites.Some of these sites may contain materials that are objectionable, unlawful, or inaccurate. The fact that these links appear does not mean that we endorse these third party sites or services. If you do decide to leave the rebelogcoaching.com site and access third party sites you do so at your own risk. The inclusion of any content from other sites, either quoted directly or linked to (“Third Party Content”) on rebelogcoaching.com does not imply our affiliation or endorsement of such Third Party Content.You understand that by using rebelogcoaching.com you may be exposed to Third Party Content that is offensive, indecent or objectionable. All website design, text, graphics, the selection and arrangement thereof and all software are copyright rebelogcoaching.com., unless otherwise indicated. All rights reserved. You acknowledge that all trademarks, trade names, service marks, rights (registered or unregistered) in any designs, applications for any of the foregoing; trade or business names; innovations, inventions whether or not capable of protection by patent or registration, registered design and topography rights; know-how, including data specifications, drawings and instructions; secret formulae and processes; rights protecting goodwill and reputation; database rights and rights under licences and consents in relation to such things, rights in the nature of unfair competition rights, and rights to sue for passing of and all rights or forms of protection of a similar nature to any of the foregoing or having equivalent effect anywhere in the world; copyright, trademarks and other intellectual property rights in and relating to rebelogcoaching.com (collectively “Intellectual Property”) are solely owned by us. We have no obligation to monitor or moderate any user’s activity or use of our Website and/or the rebelogcoaching.com, however we retain the right at all times to monitor, retain and disclose any information as necessary to satisfy any applicable law, regulation, legal process or regulatory authority request or to determine compliance with this Agreement. We may at our sole discretion for any reason (i) delete, disable or deactivate your account, block your email or IP address, or otherwise terminate your access to or use of rebelogcoaching.com, (ii) remove and discard any posts or Material within any thread or anywhere on rebelogcoaching.com or (iii) shut down a discussion, thread or forum that you are involved in, with or without notice, and with no liability of any kind to you. We may at our sole discretion and at any time, discontinue temporarily or permanently providing rebelogcoaching.com, or any part thereof, with or without notice. rebelogcoaching.com may be temporarily unavailable from time to time for maintenance or other reasons. We accept no responsibility for any error, omission, interruption, deletion, defect, delay in transmission, communication line failure, theft or destruction or unauthorized access to, or alteration of user communications. Where possible, we will use reasonable efforts to give users fair notice of technical difficulties or termination or suspension of their access to rebelogcoaching.com. However you agree that we shall not be liable to you or any third party for any inability to access rebelogcoaching.com, termination or suspension of access to rebelogcoaching.com or modification of the service provided by rebelogcoaching.com. You acknowledge that your use of rebelogcoaching.com including any material downloaded or otherwise obtained through rebelogcoaching.com is at your own discretion and risk and you agree to waive any right to bring any claim or action against rebelogcoaching.com. or our successors, assigns, directors, officers, employees and agents for any loss, damage or injury arising from such use. You agree and acknowledge that rebelogcoaching.com is an information society service provider, as defined in Directive 2000/31/EC and transposed into Irish law by the European Communities (Directive 2000/31/EC) Regulations, 2003 (S.I. 68 of 2003), and that we are not under any obligation to monitor the information which we transmit or store. You agree and acknowledge that we shall not be liable in respect of information which is hosted or cached by us or in respect of which we act as a mere conduit. The agreement shall be governed by Irish Law and you consent to the exclusive jurisdiction of the Irish courts in all matters regarding this agreement and your use of rebelogcoaching.com. We welcome your feedback on this document and thank you for using rebelogcoaching.com!